What follows are translations of the many interviews found throughout. More will be added at a later date. Profile: Born on May 16th, from Katsuyama City in the Fukui Prefecture, belongs to Aoni Production. Sponsors the “Unshou Ishizuka Reading Company.” His main works include playing Joseph Joestar in “Jojo's Bizarre Adventure: Diamond is Unbreakable,” among others. 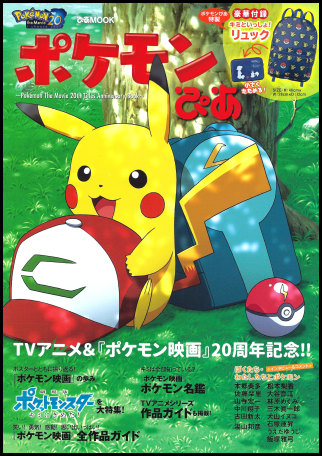 Q: What did you think when you first read the script for “Pocket Monsters The Movie “I Choose You!””? A: I really made me reminisce about the good old days, of course, but that's not all. It also showed me just how much the Pokemon world's been evolving all this time. Q: How do you feel about the relationship between Satoshi and Pikachu? A: I can feel that they really do have a deep bond with each other. And that they're true partners. I can feel how strong their friendship is due to them overcoming so many hardships together. Q: Is there any part of your performance that you feel has changed, or that you've made a conscious effort to change, from 20 years ago vs. today? A: Personally, I don't feel like it's changed all that much. I think maybe my narration has become a little bit softer but that could just be because I'm getting old. Q: What do the main characters Satoshi and Pikachu mean to you, Mr. Ishizuka? A: I'm a bit jealous of them, actually. I think they have a closeness with each other that you don't really see that much even among humans, much less with something like human and pokemon. 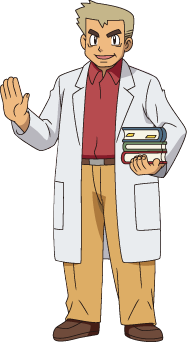 Q: In the history of the Pokemon TV animation, including the movies, are there any stories that stand out to you? A: “Celebi: A Timeless Encounter,” the movie that had Dr. Ookido as a young boy, has really stuck with me all these years. Q: And in the history of the Pokemon TV animation, including the movies, are there any particularly memorable pokemon, friends, or enemies to you? A: The Koiking Salesman in the animated series stands out to me. He's an easygoing old man who tells tall tales but for some reason you can't help but be taken in by his charm. I hope we get to see him again someday. Q: As a performer, do you have any hopes or expectations for Pokemon moving forward? A: I want it to be a show filled with things like courage and hope. That's already the case now but I want it to be even more so in the future. Q: Do you have anything you want to say to Satoshi, Pikachu, and the Rocket-Dan with whom you've been with these last 20 years? A: I want you to tell them thank you for everything and for us to keep up the good work. Q: Finally, please give us a message for all the fans out there who love Pokemon. A: I hope you feel courage, energy, and, above all, a sense of friendship through the shows' many battles.